Like the slightly larger Precision Press, the Tuff Writer Mini-Click Pen it is entirely modular with each component being easily replaceable and built to last a lifetime. The standard pen utilizes an all metal body machined out of 6061-T6 Aluminum. A clip, pressed out of spring steel and coated for durability and corrosion resistance, helps keep the pen securely fastened and close at hand. 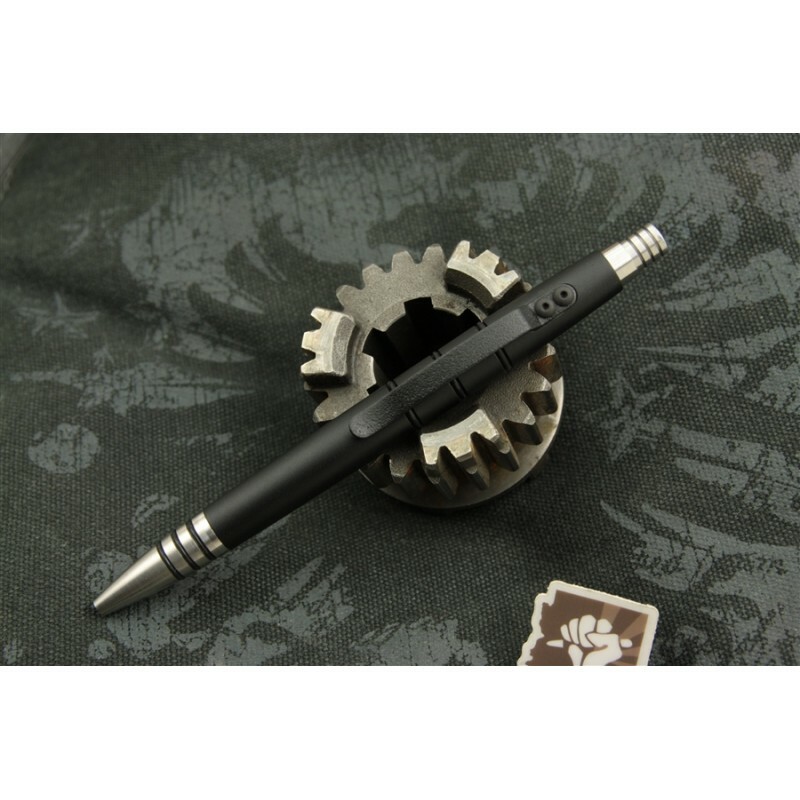 Instead of a spacer the pen uses a 2-56 screw threaded into the refill to adjust spacing and allows the pen to accommodate of multiple cartridges (any Fisher or Parker sized refill). The Mini-Click also uses our now famous 416SS machined advancing mechanism for silky smooth and reliable operation (so smooth, it doesn’t even "click"). Finally for grip and comfort, the pen body has removable contrasting black Buna-70 o-rings which assist in maintaining a positive grip on the pen when you need it most.